Difference between spectrum analyzer and oscilloscope.An electrical signal can be described in terms of time or frequency. 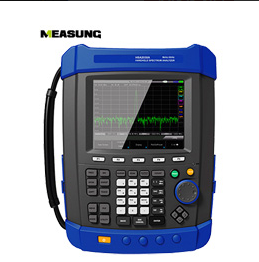 The scope is mainly used to observe the time-domain characteristics of the signal, that is, the voltage conversion characteristics over time. It is mainly used for the analysis of baseband signals, sine waves, square waves, bitstreams and other unmodulated signals, while spectrum analyzer is mainly used for rf signals.In particular, complex signals or multi-frequency signals with modulation, such a signal in the timeline can hardly be seen any regular analysis.Although an oscilloscope can also display signals from the FFT Angle in the frequency domain, its performance index is generally not enough to analyze rf, modulated signals. 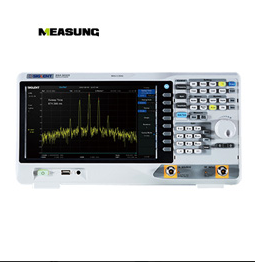 The measured bandwidth is different, oscilloscope design is mainly used to observe the baseband signal, so generally speaking the bandwidth is not very wide, the most common is dozens to hundreds of MHz.Of course, with the rapid development of digital circuit technology, the speed of baseband signal is also increasing rapidly, so some high-end oscilloscopes can reach the order of magnitude of GHz.Spectrum analyzer is primarily used to analyze carrier and modulated radio frequency signals, so spectrum analyzer's frequency range is usually much wider. The content of measurement is different. What oscilloscope observes is the change of voltage with time, so it usually sees sine wave, square wave, bitstream and so on. It pays attention to voltage, period, rising and falling edge, overshoot, burr, as well as the time sequence between multiple signals and other characteristics.Spectrum analyzer looks at power of rf signals, frequency, bandwidth after modulation, size of leakage into adjacent channels, noise testing, and in-depth analysis of complex modulated signals.